Whether it’s dealing with bad customer emails or putting out the day’s fire, using one of the best iOS email apps will help you better manage your daily onslaught of email. 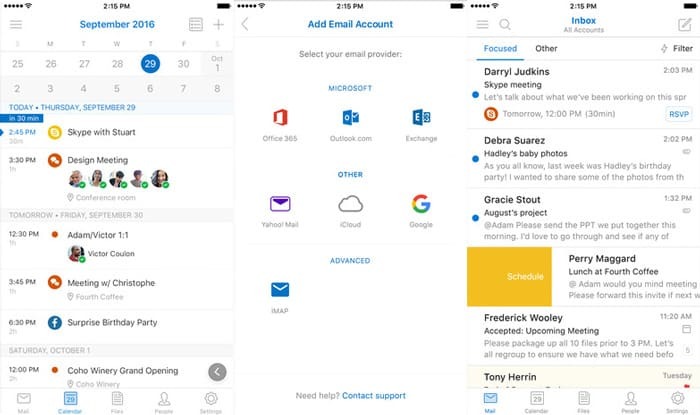 It might be surprising that one of the best iOS email apps is Outlook, made by Microsoft. 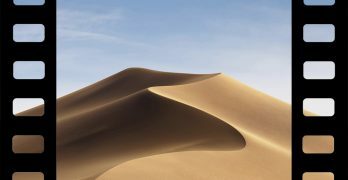 The long-time Apple competitor has turned out an impressive product, however, and it is our hope that prejudice against the Microsoft brand doesn’t keep users from experiencing all it has the offer. It also does an admirable job of sorting emails based on their level of relevance. Important emails are sorted into a category called “Focus.” Less-significant emails like newsletters get pushed into a less-prominent tab appropriately titled “Other.” This categorization might actually be more effective than Gmail’s sorting method, and tends to surface important emails more reliably than Google’s system. Users can also “snooze” emails for later review with the Schedule option. Scheduled emails get removed from your inbox temporarily, and will be returned to your inbox at the date you select. This lets you get tomorrow’s emails out of your way so you can keep focused on today’s tasks. The app is perfect for corporate types, rolling email, attachment management, contacts, and and an impressive calendar functionality into a single application. The calendar alone makes the app worth downloading, in fact. 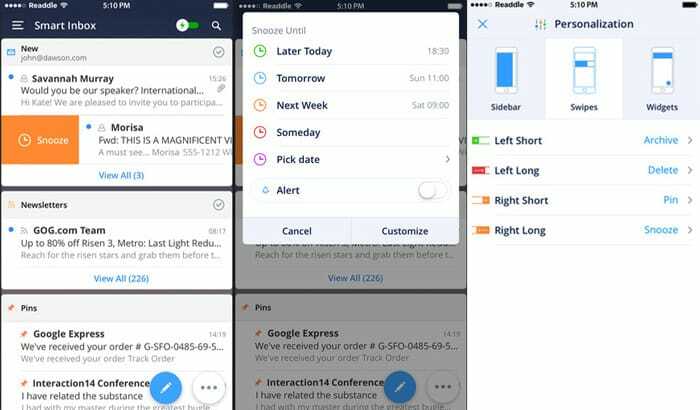 It includes many winning features from the now-defunct but well-loved iOS calendar app Sunrise, which Microsoft purchased and subsumed into Outlook. If your primary account ends in gmail.com, the Gmail app is an excellent choice for your primary email client. It’s a well-designed and supremely functional tool for managing your daily communication. It also ports some of the best features of Gmail on the desktop. Emails are automatically separated into categories based on level of personal relevance. 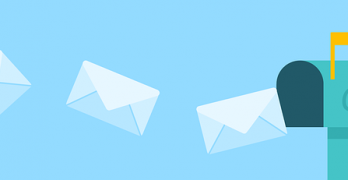 You’ll find sales emails sorted into Promotions, newsletters sorted into Updates, forum replies sorted in Social and emails personally addressed to you appropriately filed in Personal. This system works fairly well, and uses the strength of Gmail’s enormous client base to its advantage. Google devotees will also find benefits to full-ecosystem adoption, like Google Assistant and easy calendaring. The search function is lightning fast and unparalleled by other apps. Other useful features like an “undo” button for sent emails are crucial on mobile. The app is missing some features found in other applications, like snoozing emails for later or scheduling replies. 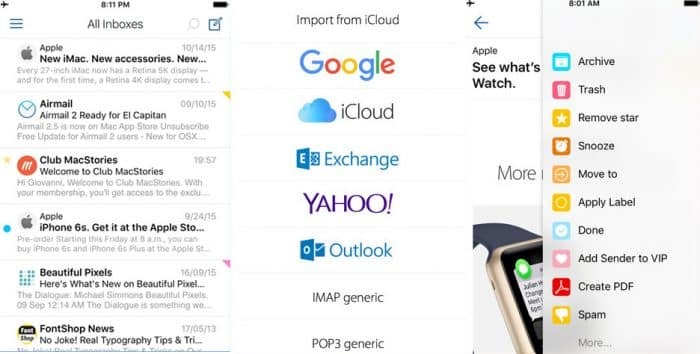 But it’s a significant and useful upgrade over Apple’s disappointing built-in Mail client. Airmail does a lot of the same thing as other apps on this list, but offers one major feature: extensibility. The email app can connect to a host of third-party services, from standards like Dropbox and Evernote to unusual options like Todoist and Asana. It also includes a powerful snoozing feature and deeply customizable swipe options, making sorting and taking action on emails easier and more productive. The app does have it’s frustrations, however. Smart notifications only alert bother you for important emails, and action-based labels like “Memo” and “To-Do” can make triaging email simpler. However, the app can be a little bit buggy on times, and random crashes and non-responsive notifications don’t help anyone manage their inbox better. If you already use the excellent Airmail app on macOS, the Airmail iOS app makes an excellent companion. 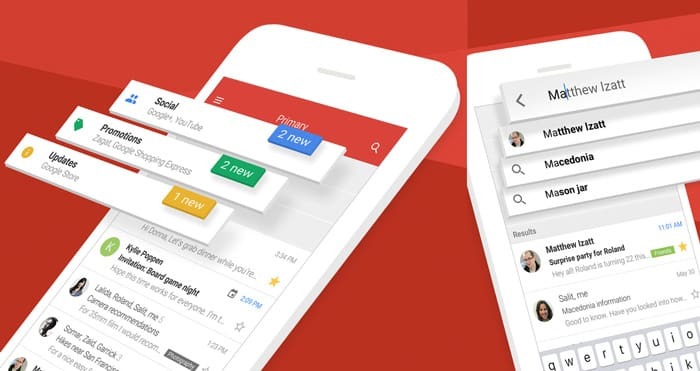 Spark brings some of the best features of Outlook and Gmail together into a third party app. It effectively sorts emails based on their level of importance with it’s Smart Inbox feature, only notifying you of critical messages. Less-important emails can be snoozed for later, when they’re relevant, and swipe actions can be customized to suit your particular workflow. It’s also an attractive app, with a pleasing interface and animations. It doesn’t bring anything massively new to the table, but it does combine effective ideas from other email applications.